Simply using an effective social media platform like Twitter is not enough, you need to track, identify, and visualize your followers too! So if you have been long dependent on free or paid online tools for the purpose, here’s finally some great news! Responding to the high demands of users, Twitter has finally rolled in its very own native Analytics capabilities. Understand the Tweet Activity: Measure your engagement, find tips for enhancing the success of your tweets. Understand your followers: Explore the demographics, location, and interests of your Twitter followers. Use Twitter cards: Twitter cards that used to help present rich content to your followers now also allows you to track how it drives clicks, Retweets, and app installs. Now that Twitter has launched its native platform what is going to happen to the existing visualization and analytics tools? For the first few years at least, nothing is going to change. Twitter analytics tools for now are only in a nascent stage and it will take a while for the company to bring full-fledged capacity to the users. When you want to know about the top URLs, users, or words, The Archivist with its cool features seem to be the hot choice. It also allows you to get the Retweet to Tweet Ratio and identify the sources or tools your followers are using to send these tweets. Naturally, it’s all about great insights that can help you to improve the Twitter experience for users. Another powerful platform that gives you a deep insight on your Twitter presence is SocialBro. Use it to visualize or analyze the network in different ways. If you want, you can also increase the number of your followers and grow on the platform by scheduling Buffer or Hootsuite tweets directly within the platform. What you love to have a free analytics and visualization tool at your disposal to monitor Twitter activity? We have the perfect choice for you in the form of Twitonomy! In spite of being completely free to use, it gives you robust and powerful features and for this, the credit goes to the developers. The best thing for you is that it offers you different methods to analyze the activities and the people involved. Another unique exploration tool quite cool and effective, is MentionMap. What attracts you to this tool is its highly interactive feature, which makes it extremely neat even if seemingly hard to navigate sometimes. So, how effective is it going to be for analysis and visualization? Why leave anything to conjecture when you can experience it firsthand, NOW! 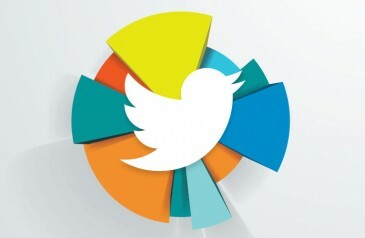 Tracking growth of your followers and visualization becomes a piece of cake with Twitter Counter at your disposal! Can you not only measure your personal Twitter activity but also compare it easily with those of your competitors! So could anything better! What’s more, you will have everything before you in the form of a graph for all the hairsplitting research that you may wish to do. A feature rich tool that makes Twitter activity measurement seems like the easiest thing on earth is Twenty Feet! This analytics platform is ideal for tracking, and getting accurate graph stats such as Twitter followers, Retweets, and mentions. An interesting thing about this platform is that it easily integrates with other social media sites as YouTube and Facebook or other services as Google analytics and bitley. Tracking Facebook and Twitter activity is free of cost but for others you have to go for a reasonable price package available from the developers. So, are the above analytics and visualization tools all that are available to you? NO, there is more! Tweetstats, Tweepsmap, Twistori, and Visible Tweets are also worth the mention. Just go on explore, there may be many more surprises in store….